Long Beach Show This Friday! Friday, October 22, 2010: Puka Bar, Long Beach, CA. 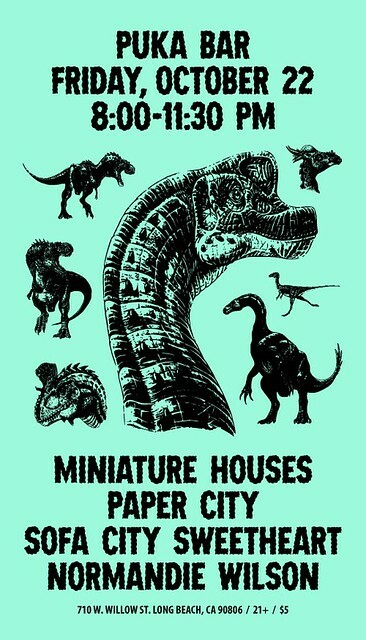 W/Miniature Houses, Paper City, Normandie Wilson.